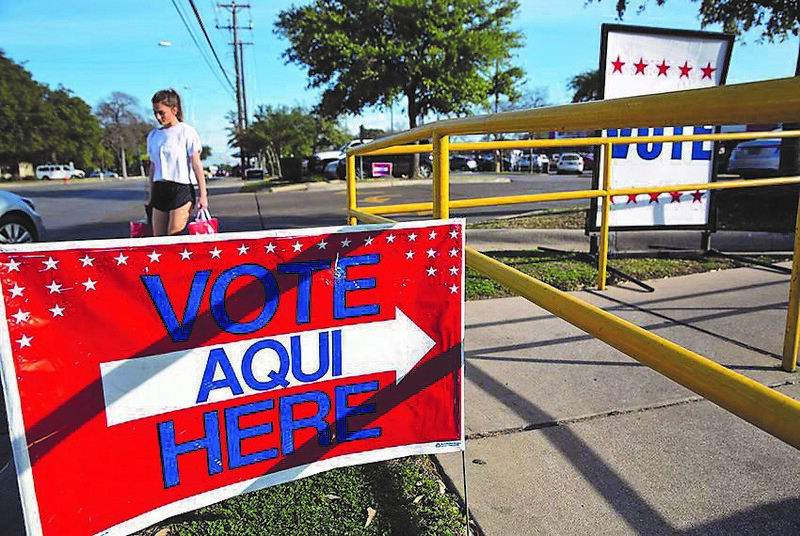 AUSTIN — Facing an investigation over the state’s botched efforts to screen its voter rolls for noncitizens, the Texas Attorney General’s Office is declining congressional leaders’ request for information about the review. The response comes two weeks after U.S. Reps. Elijah Cummings, the Democratic chair of the Committee on Oversight and Reform, and Jamie Raskin, D-Maryland, informed state leaders that the committee had launched an investigation into the state’s review of the voter rolls for supposed noncitizens, through which officials flagged almost 100,000 registered voters as suspect voters. The review has been mired in controversy and missteps since late January when it was revealed that lawmakers had mistakenly questioned the citizenship status of a quarter of the people on the list. As part of the review, some naturalized citizens on the state’s list began receiving letters demanding they prove their citizenship within 30 days to avoid being purged from the rolls. Those efforts, which landed the state in federal court, have since been halted over a federal judge’s concerns that the review targeted naturalized citizens. But the state’s missteps continued when it mistakenly sent out additional names of voters to counties weeks later because of a technical error it blamed on a vendor. “We are disturbed by reports that your office has taken steps to remove thousands of eligible American voters from the rolls in Texas and that you have referred many of these Americans for possible criminal prosecution for exercising their right to vote,” the congressmen wrote to top state officials in late March. In response to the AG’s letter, a senior Democratic aide said the committee expected “full compliance” with its request. In announcing the Texas investigation — part of a broader probe of voting irregularities in multiple states — Cummings and Raskin cited their authority to investigate “any matter” at “any time” under the rules of the U.S. House of Representatives. The committee has the authority to issue subpoenas. Raskin chairs a subcommittee on civil rights and civil liberties. Civil and voting rights advocates, Democratic lawmakers and naturalized citizens swept up in the review hailed the congressional investigation as a necessary audit of state leaders’ decisions to conduct the review when they knew it would affect naturalized citizens. But the AG’s defiance is unsurprising. State officials have continued to back the voter review efforts even as widespread errors emerged, saying federal and state laws require them to maintain accurate voter rolls.